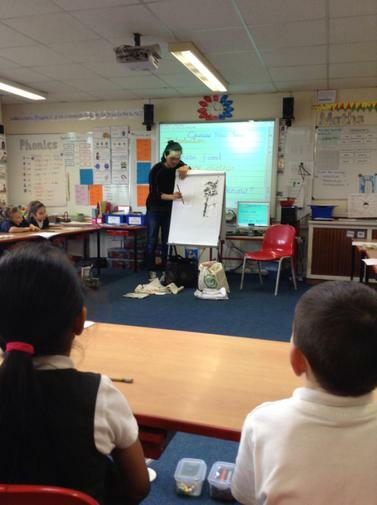 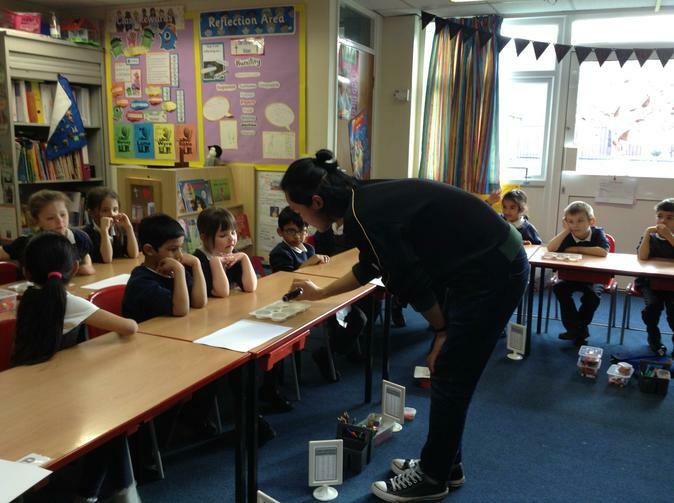 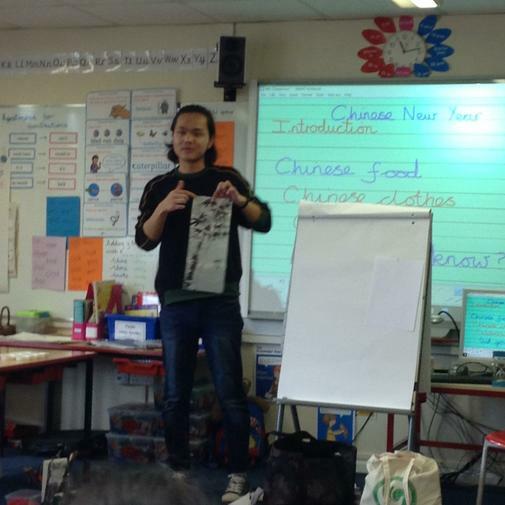 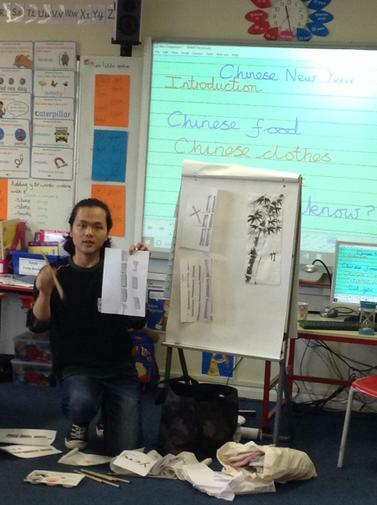 Some local Chinese art teachers came in to talk to us about Chinese art. 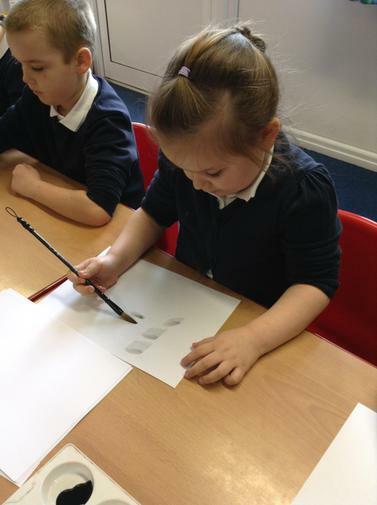 We found out that brushes are made from bamboo and wolf hair! 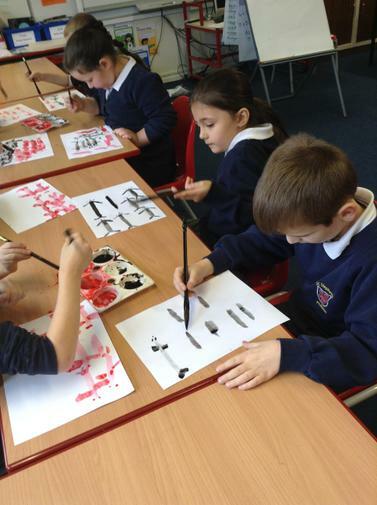 We learned how to hold the brush using 3 fingers. 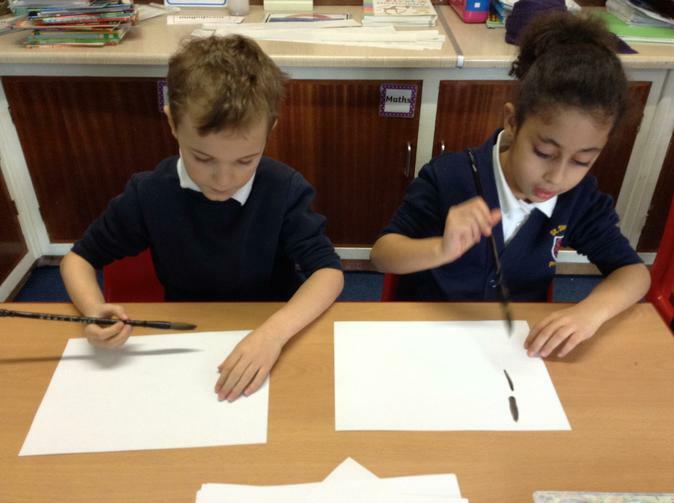 Hiyan showed us how to use light and dark ink to paint thick and thin lines using the tip and side of the brush. 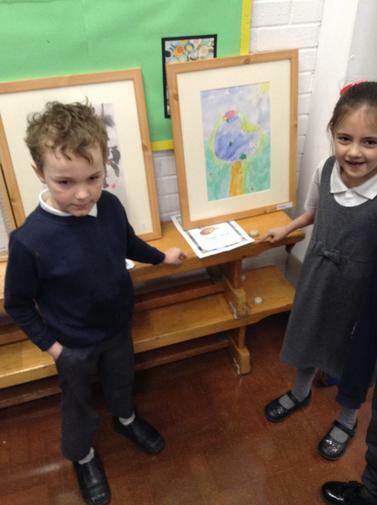 Tony Heaton (OBE) came to show us his sketch books and talked about how, as an artist, he gets his inspiration, does close observations of the world around him and art that he loves. 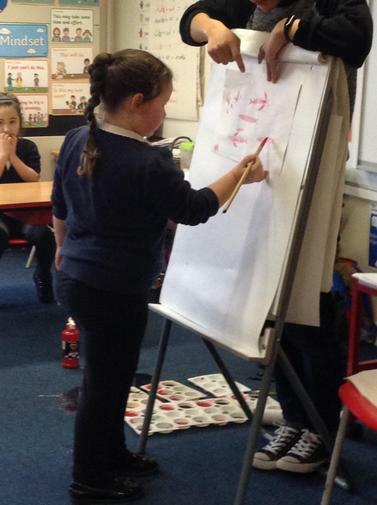 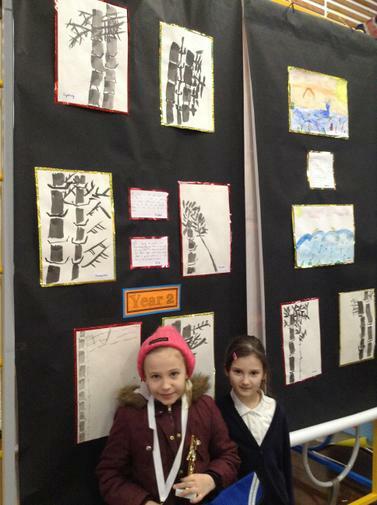 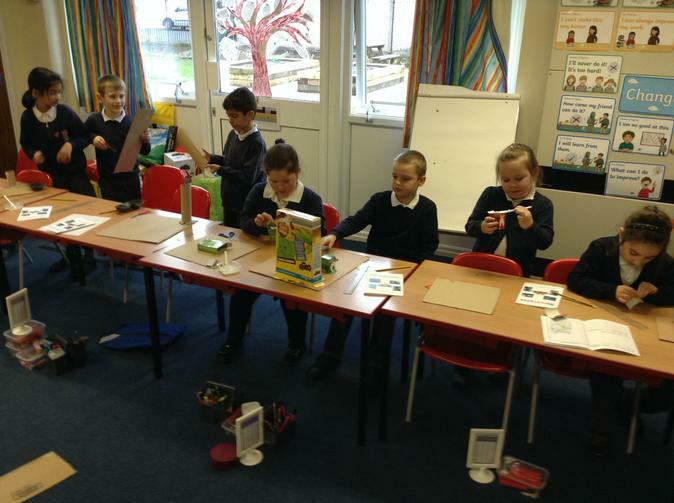 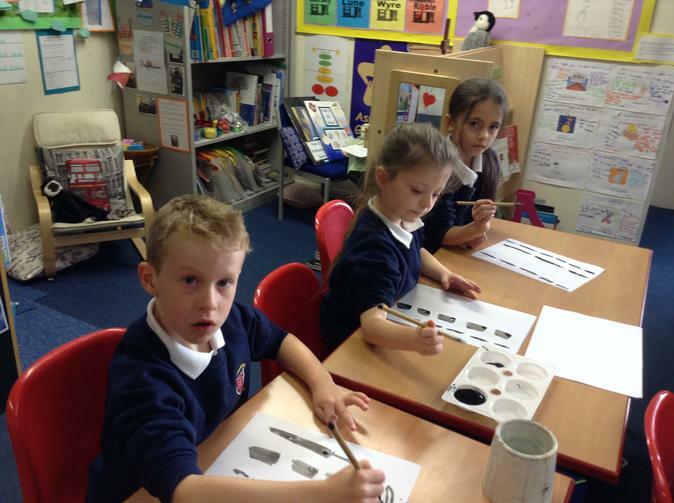 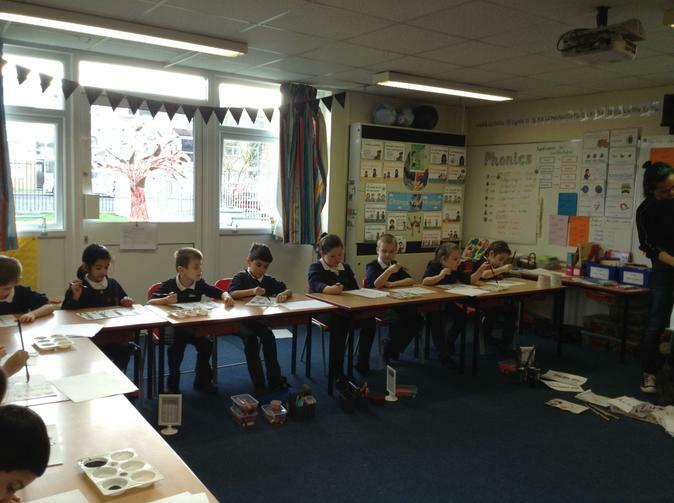 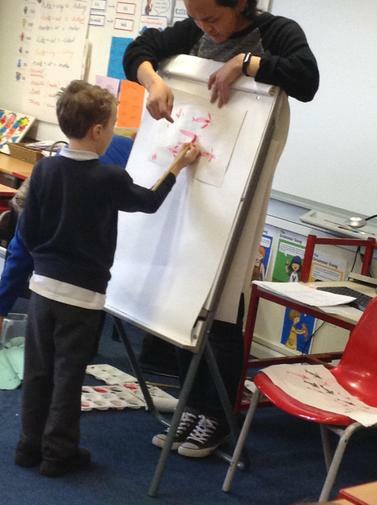 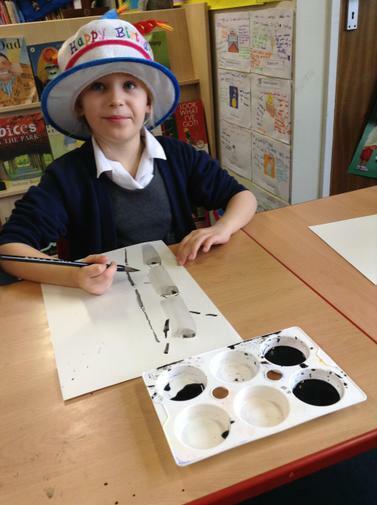 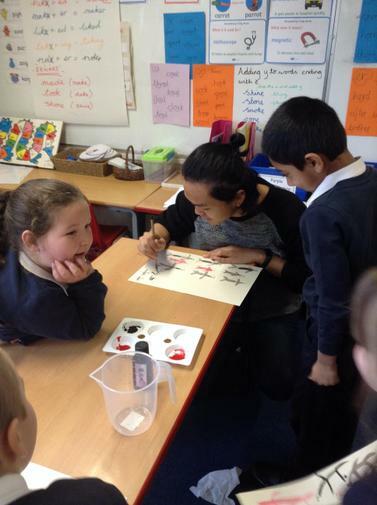 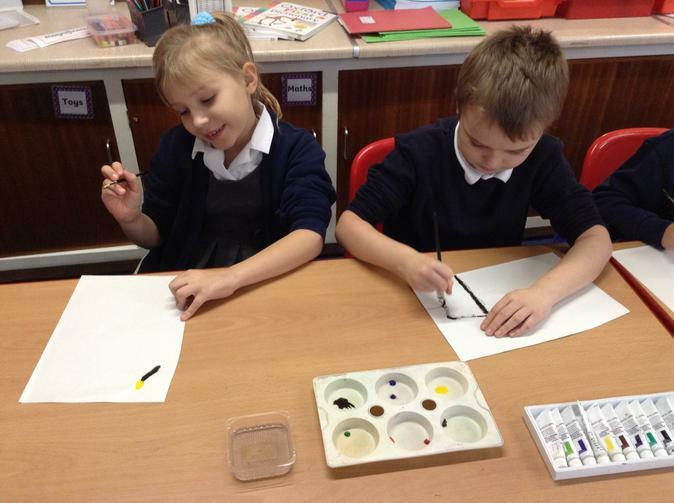 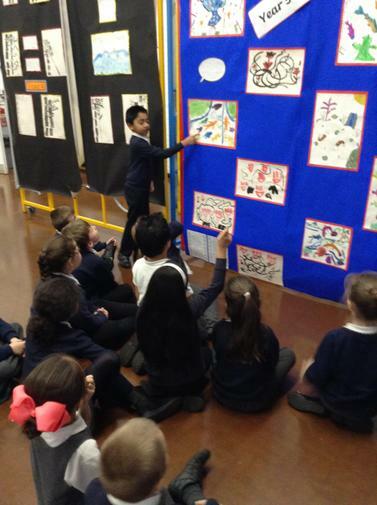 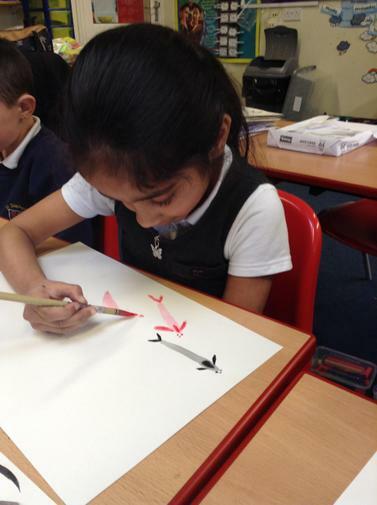 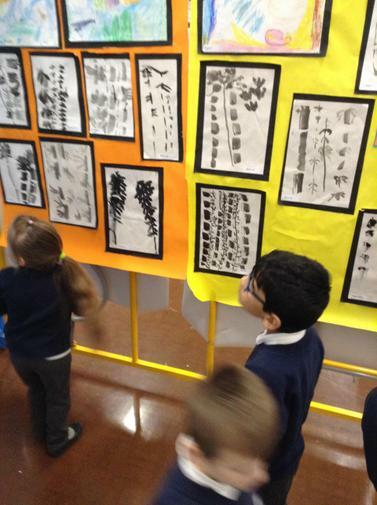 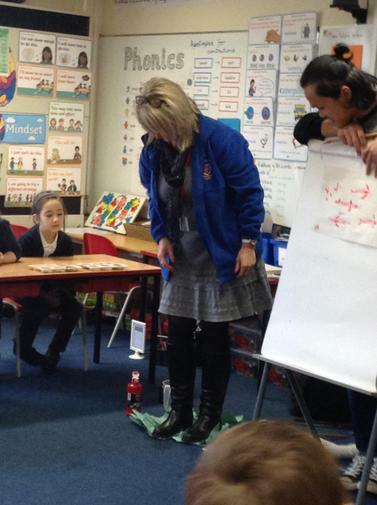 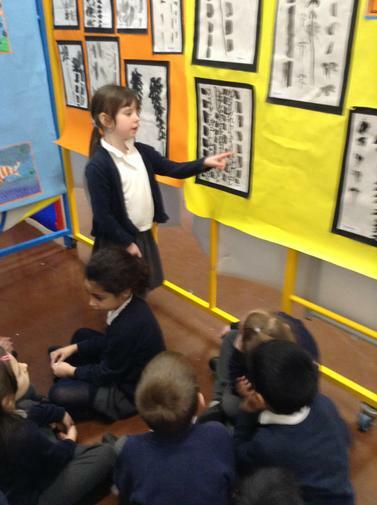 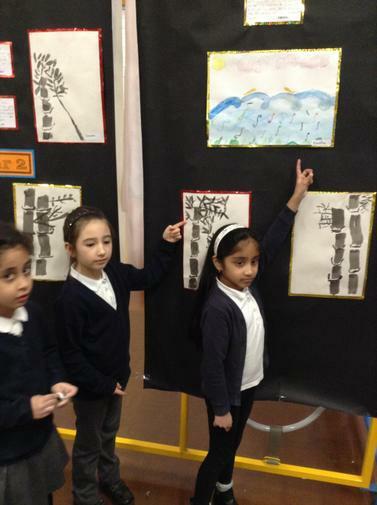 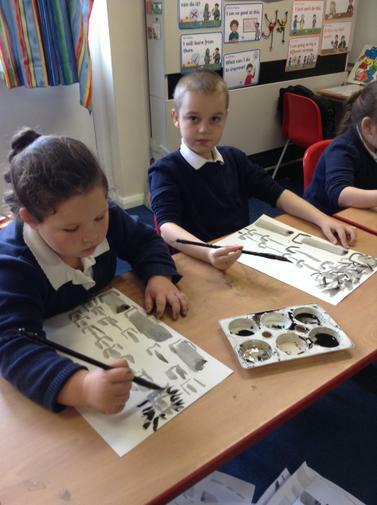 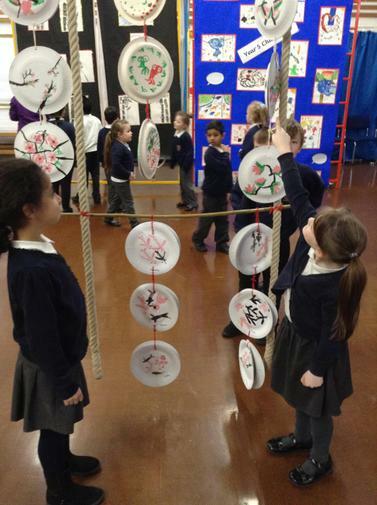 We looked at some art by Bruce McLean and did our own interpretations. 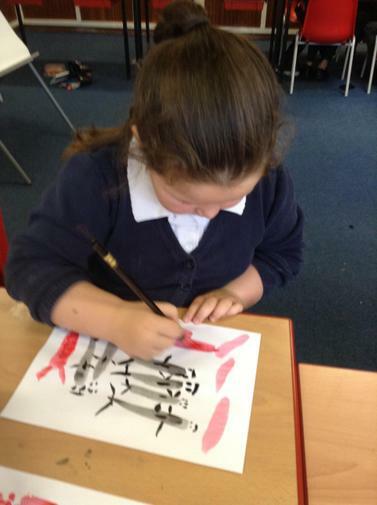 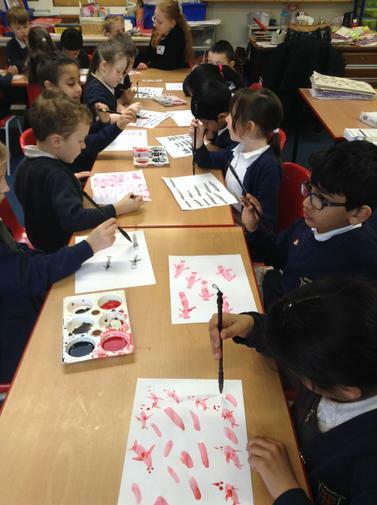 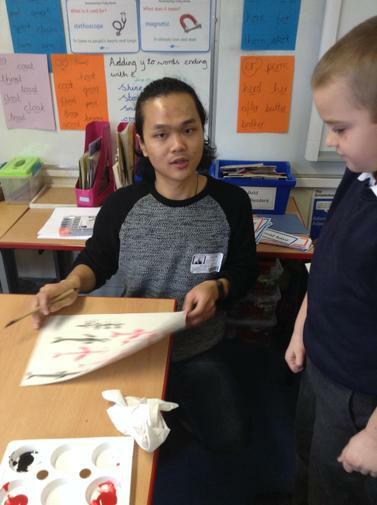 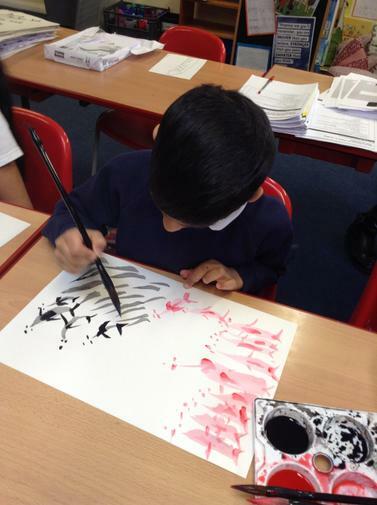 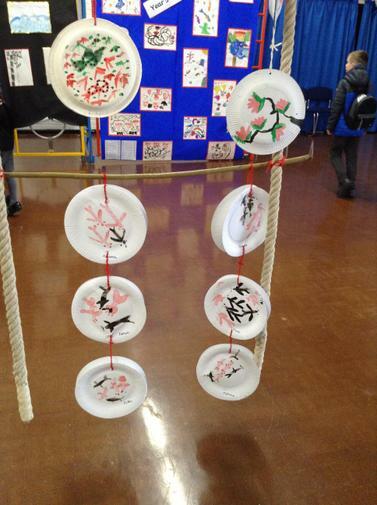 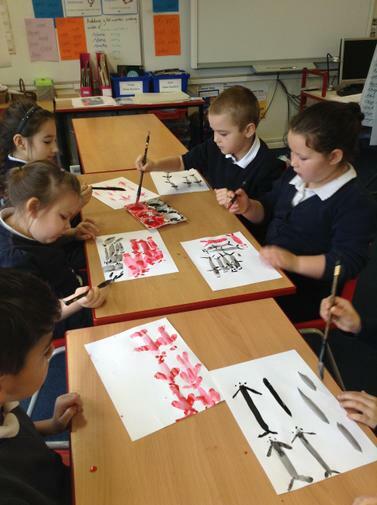 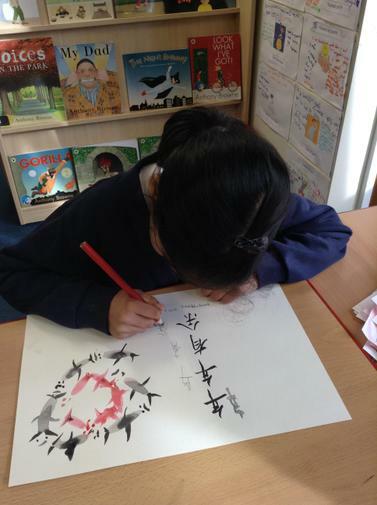 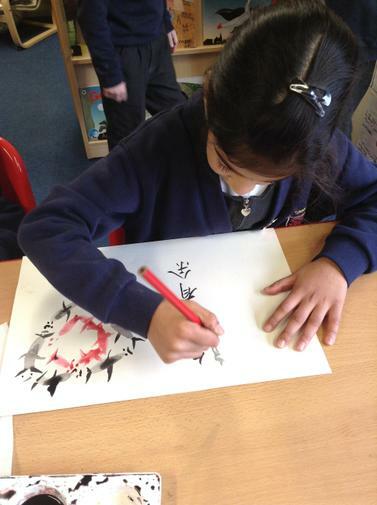 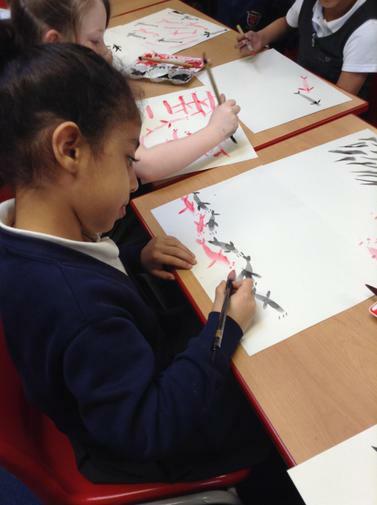 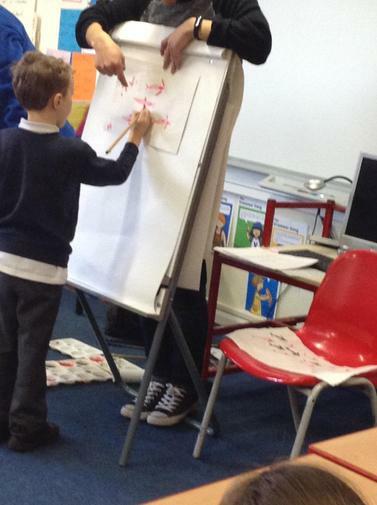 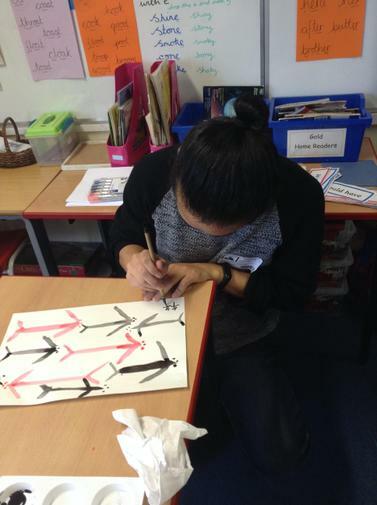 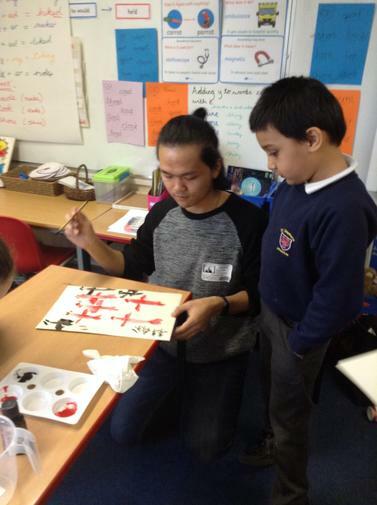 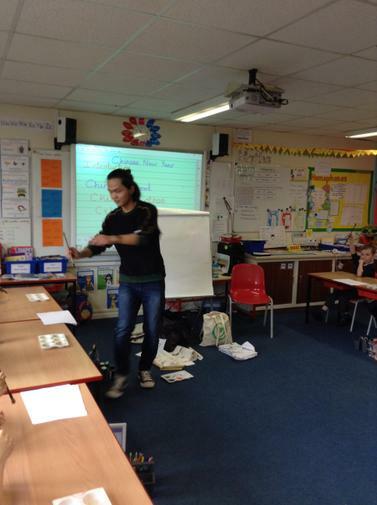 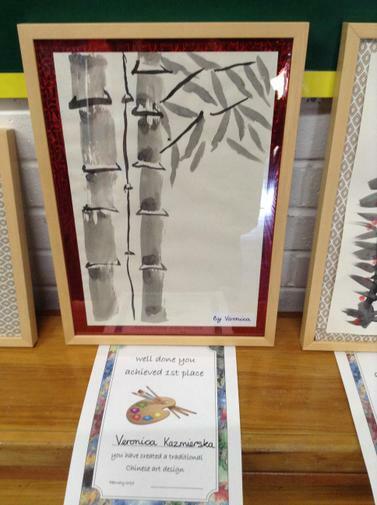 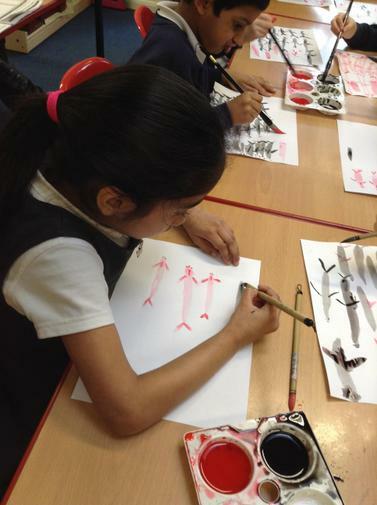 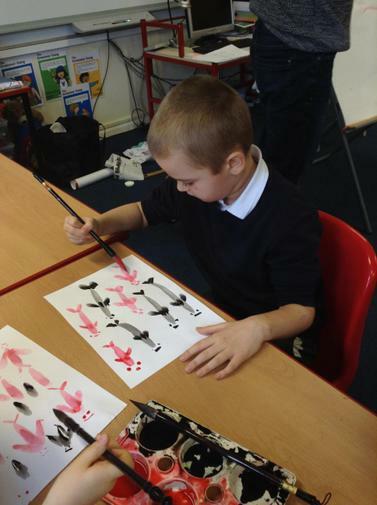 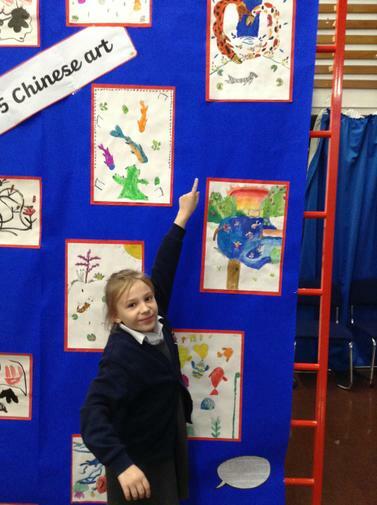 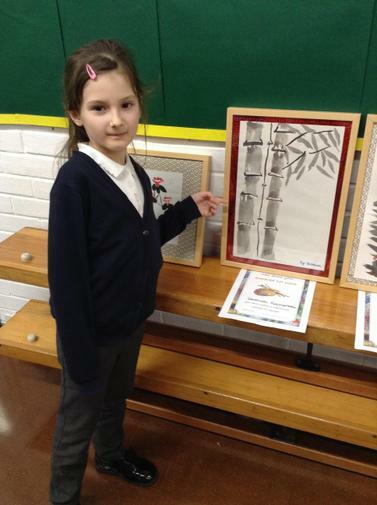 We experimented until we felt confident to draw traditional Chinese style pictures. 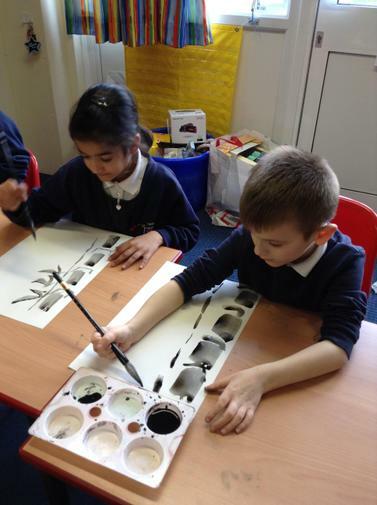 Take a look at what we did. 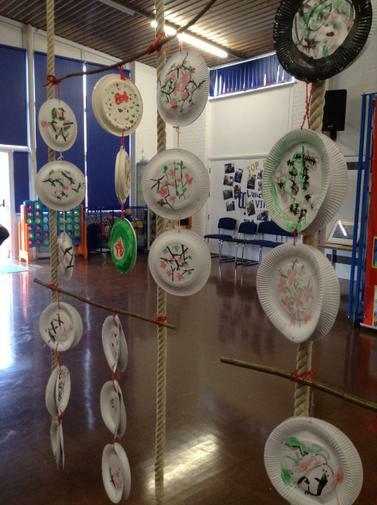 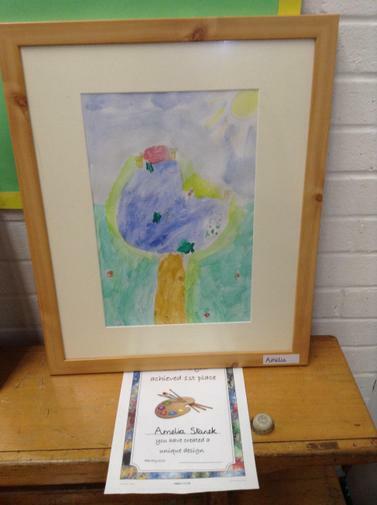 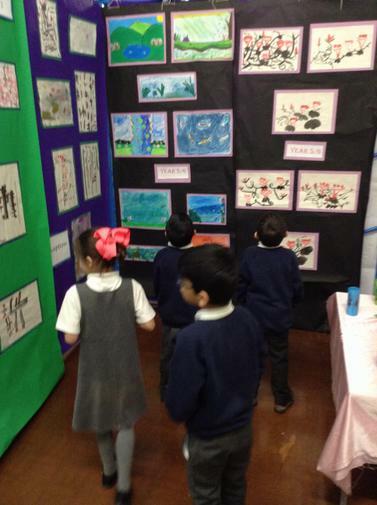 It was amazing to see our artwork displayed in the gallery for all to see!